Hi guys! 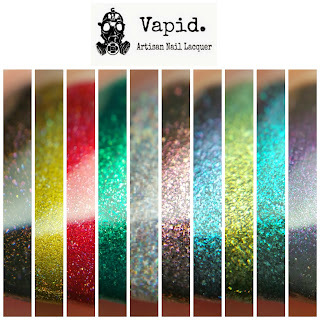 Today I have so many gorgeous goodies from Vapid Lacquer to share with you! Ten! 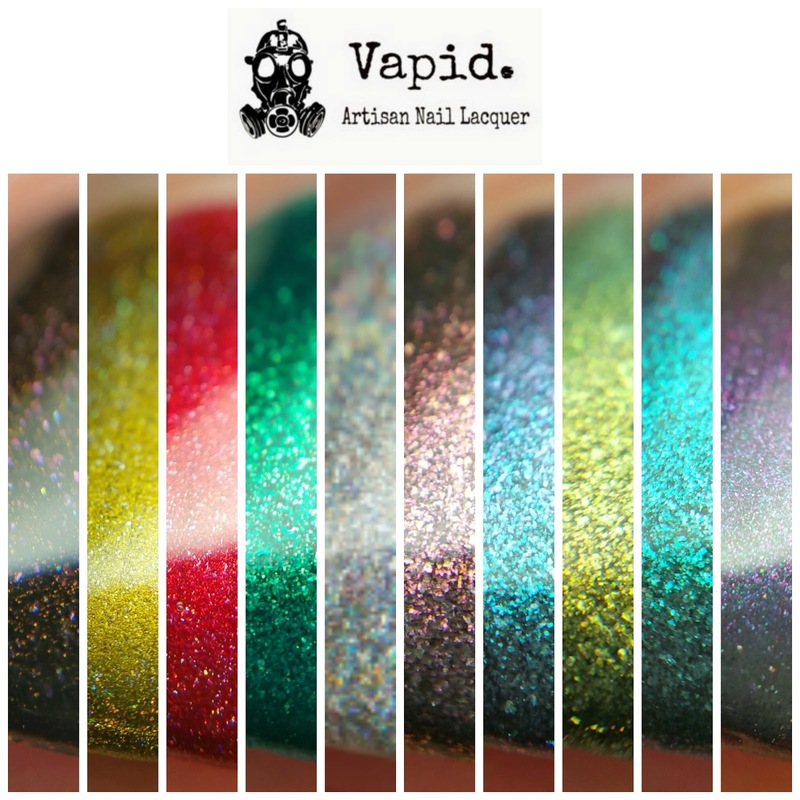 Ten new pretties! Let's just skip the intro and get right to them! 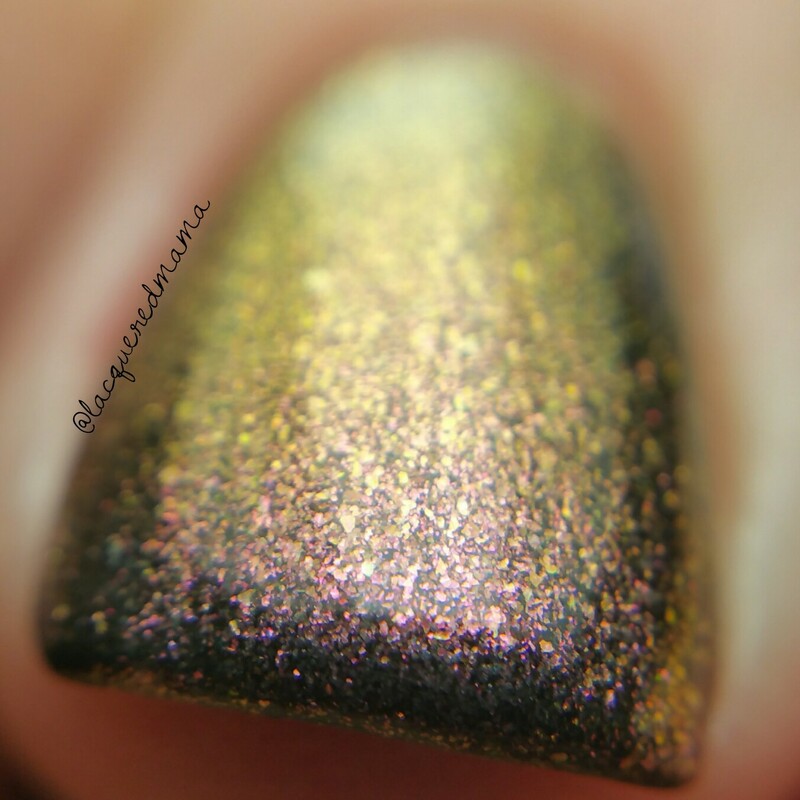 Toboggan is a gorgeous burnished gold shimmer with linear holo! In love! This beauty is super opaque, as I only used one coats for my photos! 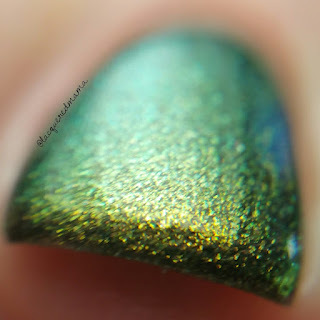 Because of the shimmer you will want to be mindful of brushstrokes when applying. It dried fairly shiny and removed easily. Reindeer Games is a stunning red linear holo! True red! Not orange leaning, not purple leaning, just red! 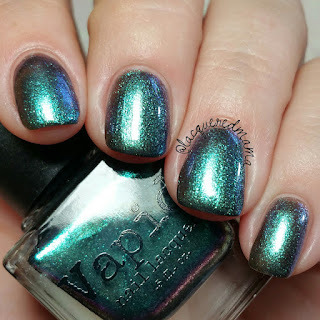 This also had a fantastic formula that was opaque in one coat plus topcoat! 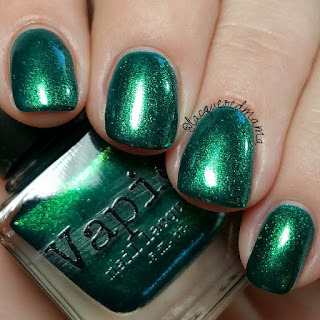 Conifer! Oh Conifer, how I love thee! 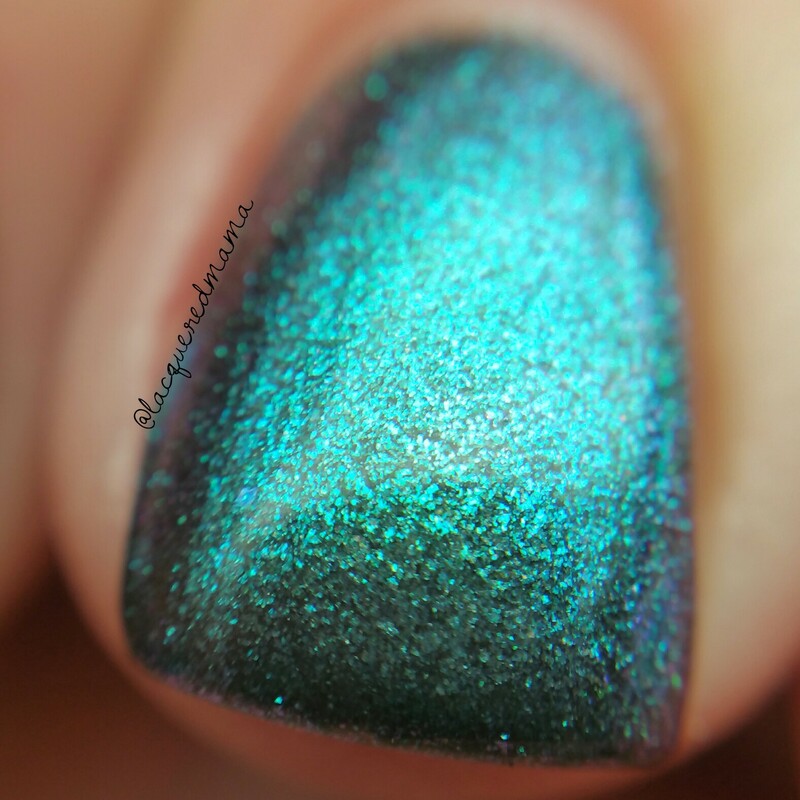 It's a a beautiful teal green base filled with pine green shimmer! It slightly shifts from a deeper teal to to pine to a bit of gold, though I had a really hard time capturing it on camera. 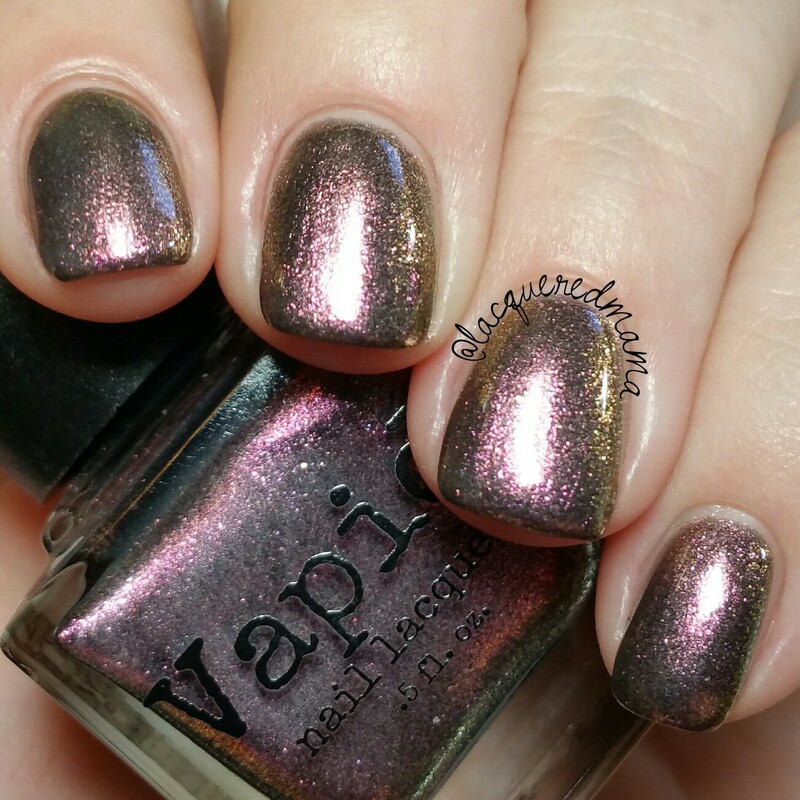 This applies super evenly on one coat, but the second really deepens it to match the bottle. Happy Freakin New Year 2016 is a gorgeous silver linear holo loaded with holo microflakes and scattered holo particles! 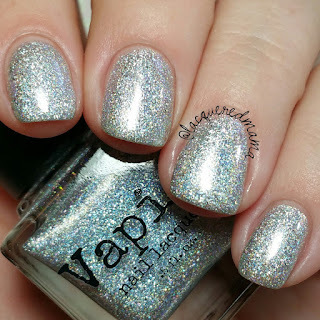 So flipping sparkly! Even in the shade this beauty shines! Here I did two coats plus topcoat! 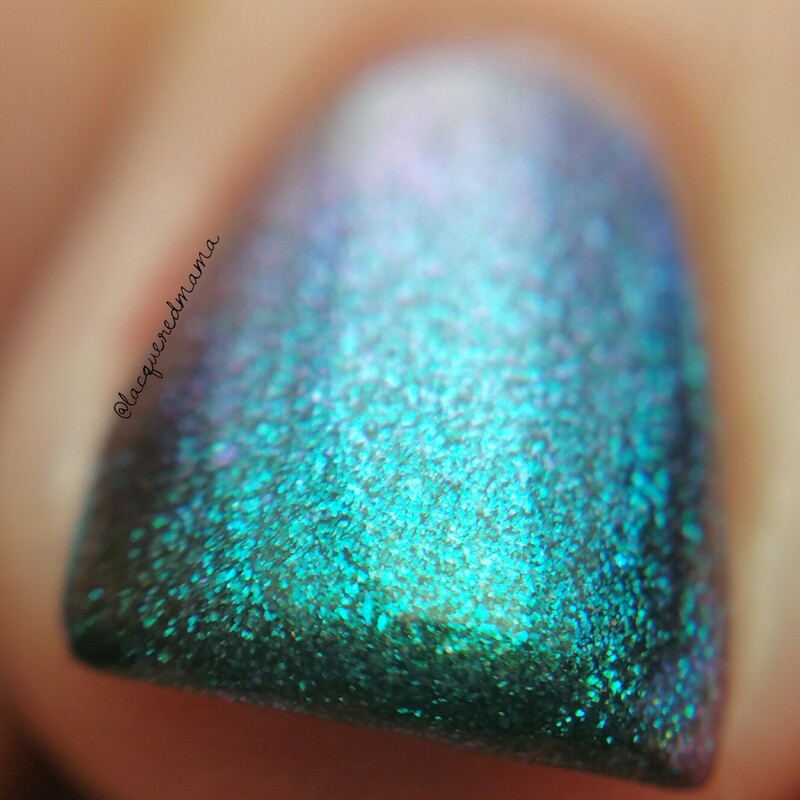 NPX-BPRO is a blue base multichrome. 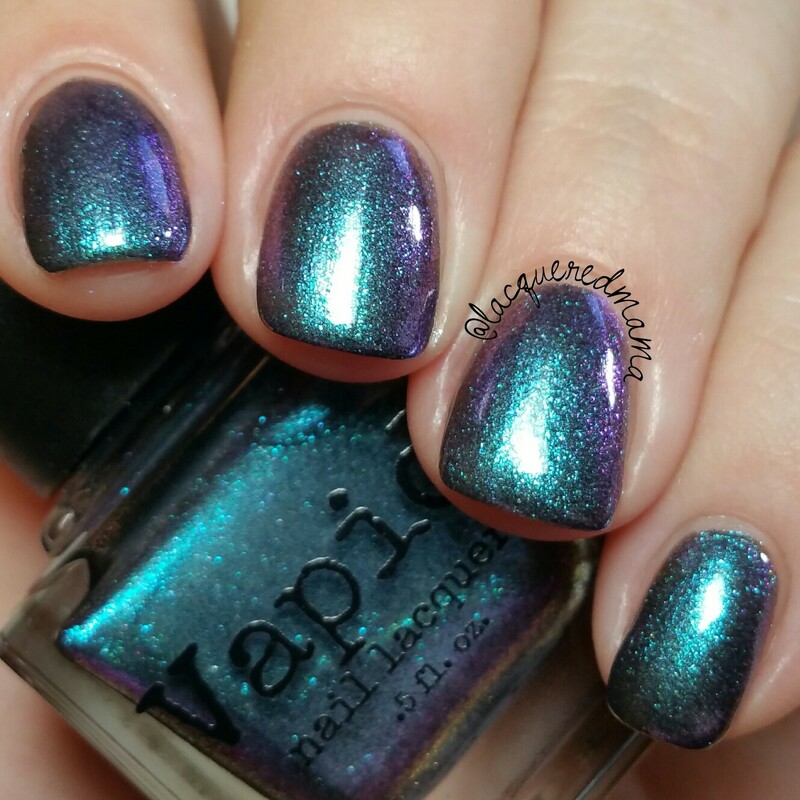 It's packed with shifting shimmer and flakies the change from purple to teal to blue! Here I did two coats plus topcoat. 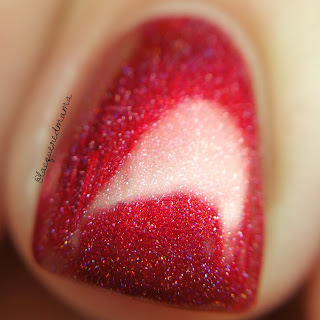 NPX-ROY is my fav of the NPX polishes! 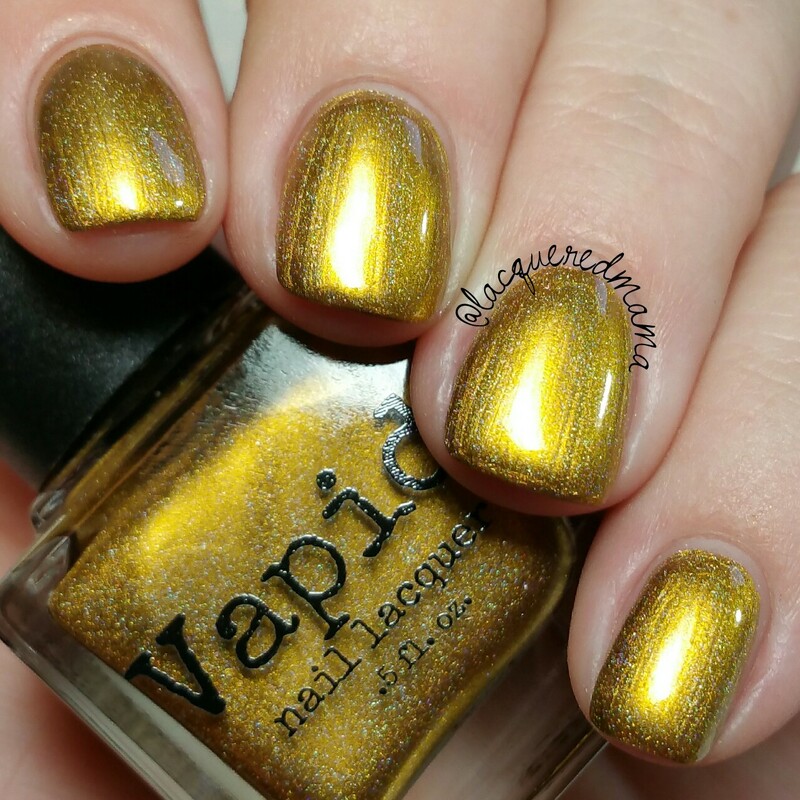 It is full full of shimmer and flakies that shift from a rose gold to copper/bronze to yellow gold and even a hint of green! Gorgeous! Again I did two coats plus topcoat! NPX-TBPR is a teal based multichrome! 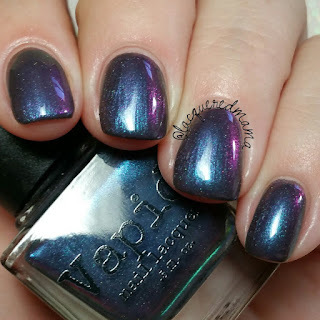 My straight forward pictures could not catch it's awesomeness; however, in the angled macro you can really see the shift from teal to blue to purple. Another two coats here. NPX-GGBO is stunning! 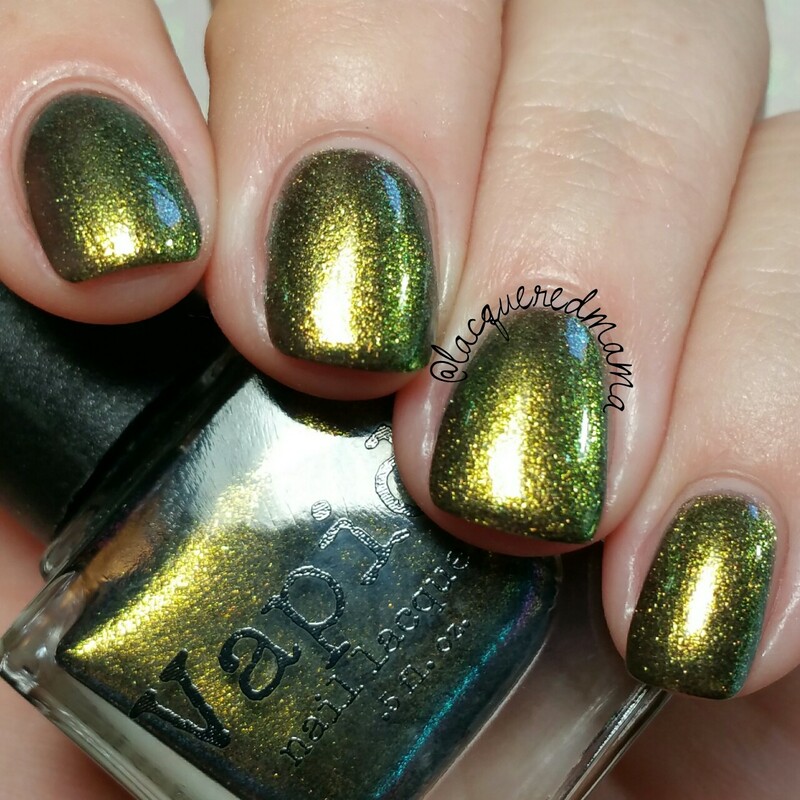 It's sort of a pea green based multichrome that shifts from teal to deep green to golden yellow! Beautiful! Here I did two coats plus topcoat! Notso Slick is the purple sister to Smoke Screen. It is a charcoal gray base filled with blue to purple shifting shimmer, as well as a splash of scattered holo. Here I did two coats plus topcoat. Black Friday 2016 is my fav! I think I say this every year! Each year's version is better than the last! 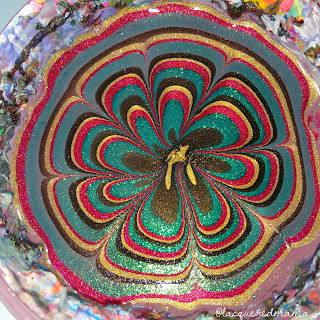 This year it is black base filled with gold shimmer and purple to magenta to blue shifting flakies! Amazing formula that was opaque for me in one coat plus topcoat! Depending on application you may need a second. Do they stamp? Yes! 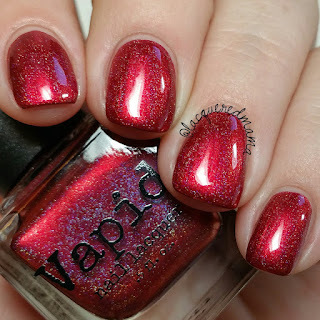 While I only had time to do a mani using the four main holiday polishes, all of them stamp and have their own effect. 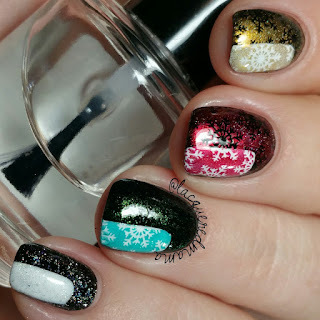 The Gold, Red, and Green stamp perfectly over black and white! The Silver really only shows over black and Black Friday 2016 stamps nicely over white. 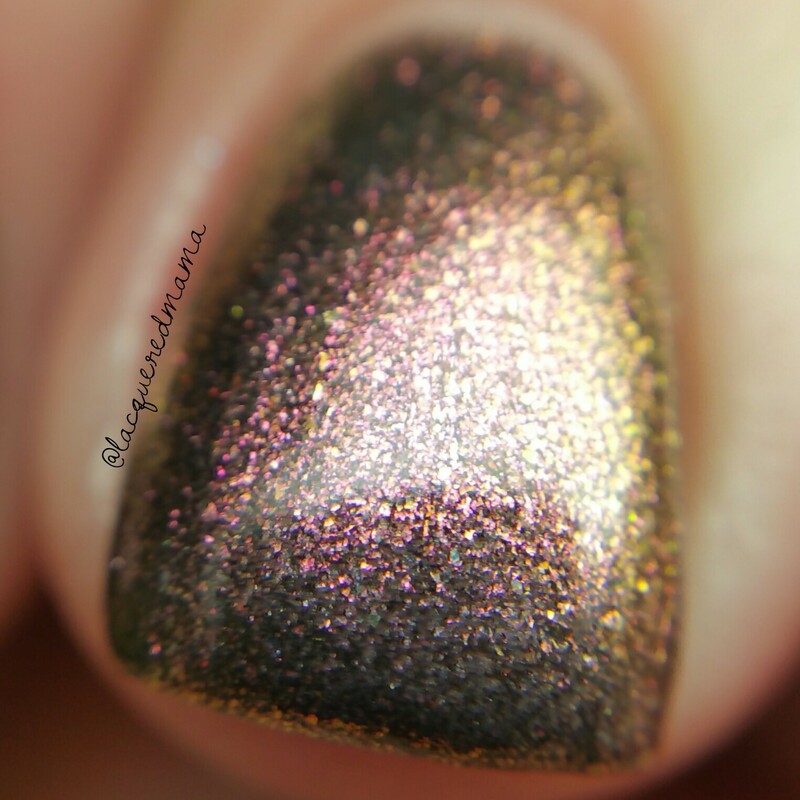 All of the NPX polishes show up over white as slightly grayed. 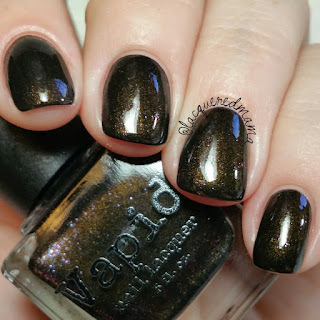 Over black, though, you get to see the main shift of each polish! Do they marble? Yes! The Green, Red and Gold, as well as Black Friday marble beautifully! 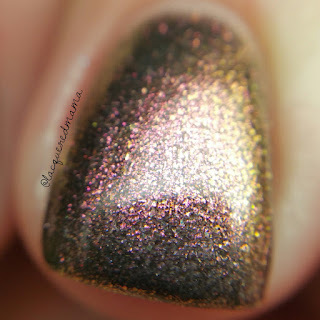 All the others have so much shimmer that they sort of get muddled together. Everything you've seen here, plus a restock of lots of other goodies, will be on Black Friday, Friday November 25th at 6am CST! gorgeous! gorgeous! 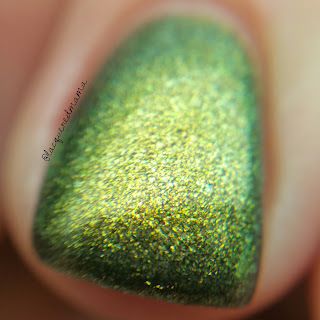 conifer is a stunner! Each of these are amazing! Toboggan might be my favorite though. So unique. I adore that watermarble you did too! I am so excited for these. I can't even pick a favorite! They're all gorgeous!! Toboggan is so great, I love that mustardy color!